Now you just have to enjoy the open road. 1. Use a binder clip to make a car stand for your phone if you are using it as GPS. 2. A cereal container is the perfect no-spill trash can. 3. 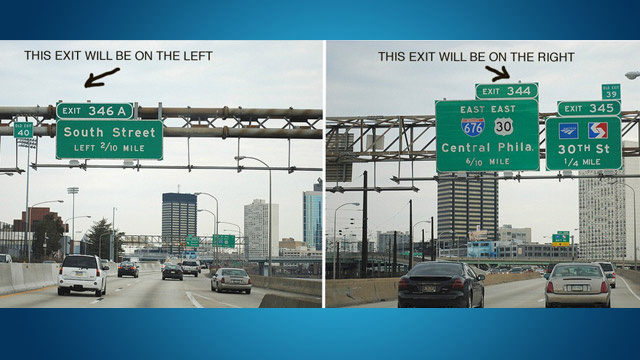 Never panic about which side the exit is on again. 4. Turn a half-filled Nalgene bottle on its side in the freezer for ice water. 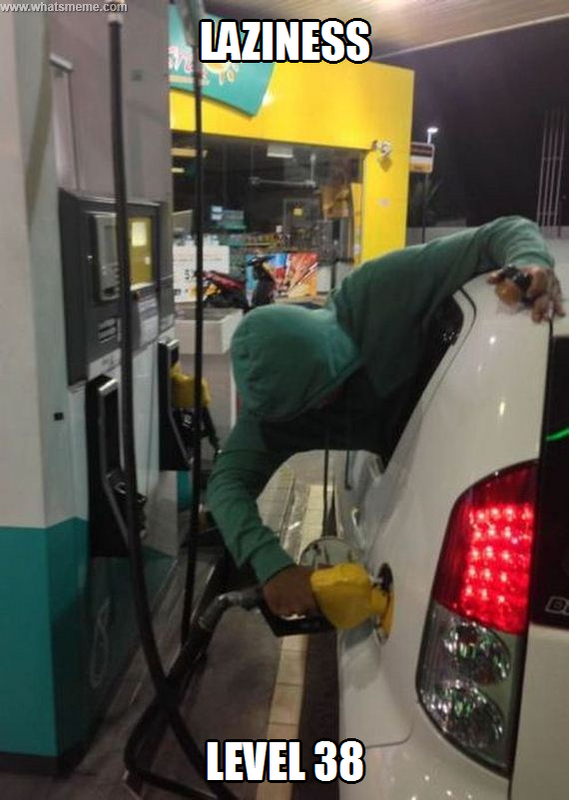 Then fill it up before you hit the road; you'll have cold water all day. 7. Nap comfortably while your co-pilot takes a driving shift. 8. 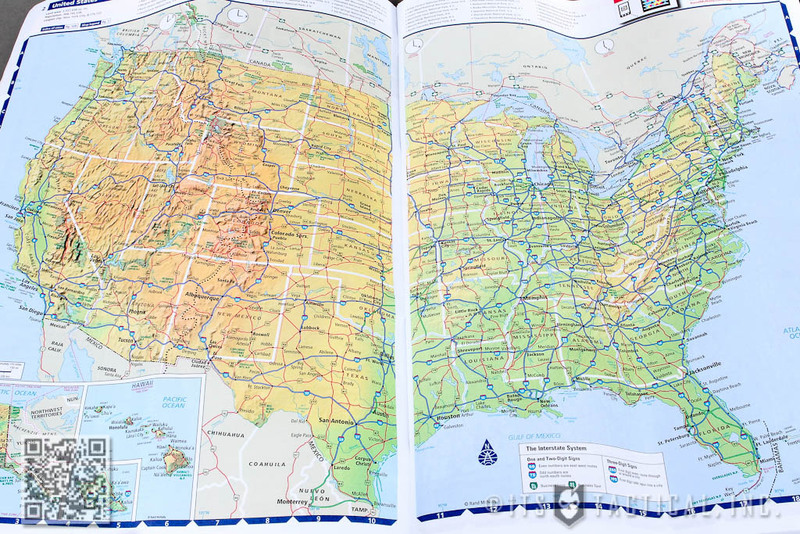 Find the lowest gas prices along the way. Fuel My Route is a lifesaver. 9. Bring a shower caddy for easy eating. 10. Keep an open box of dryer sheets in your car. Even if your car started out smelling nice, by day eight, you will be happy these are there. 11. If you're parking your car when exploring a new city, drop a pin. Nothing worse than not being able to remember where you parked your car. 12. Take a screenshot of directions while you have a Wi-Fi connection. 13. 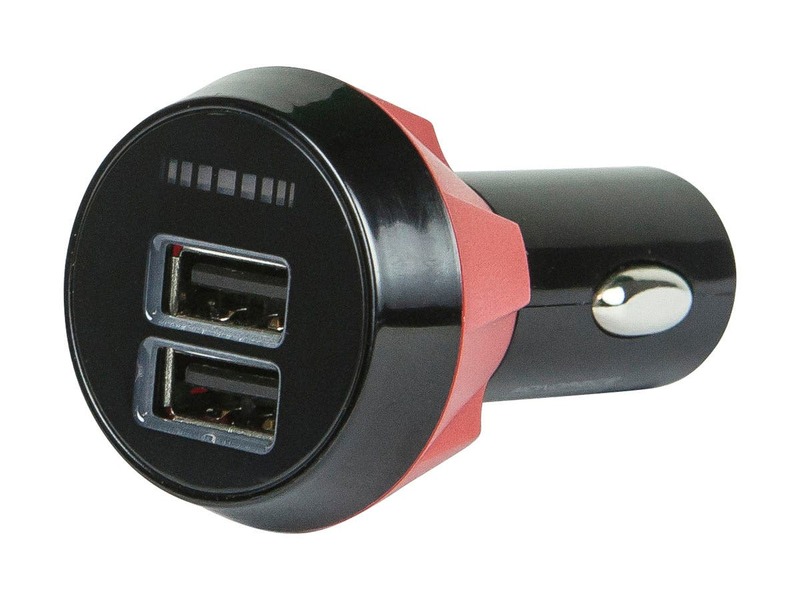 Bring a two-port USB car charger. That way you and your road trip buddy will never have to argue about who gets to charge their phone. 14. 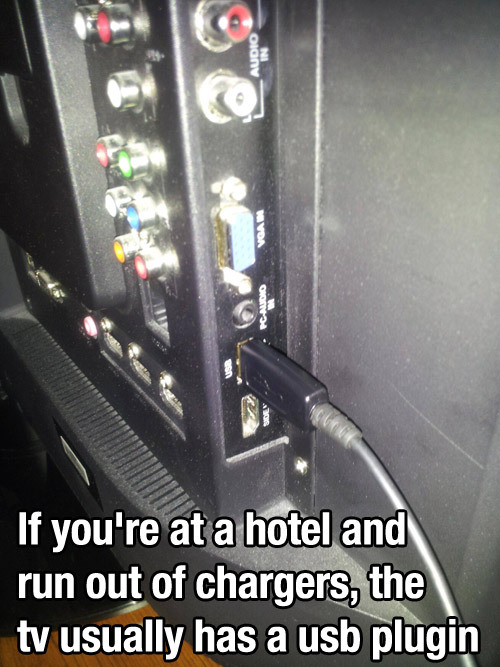 Or a multi-way charger if you really like electronics. 15. Pack an emergency kit along with your AAA card. 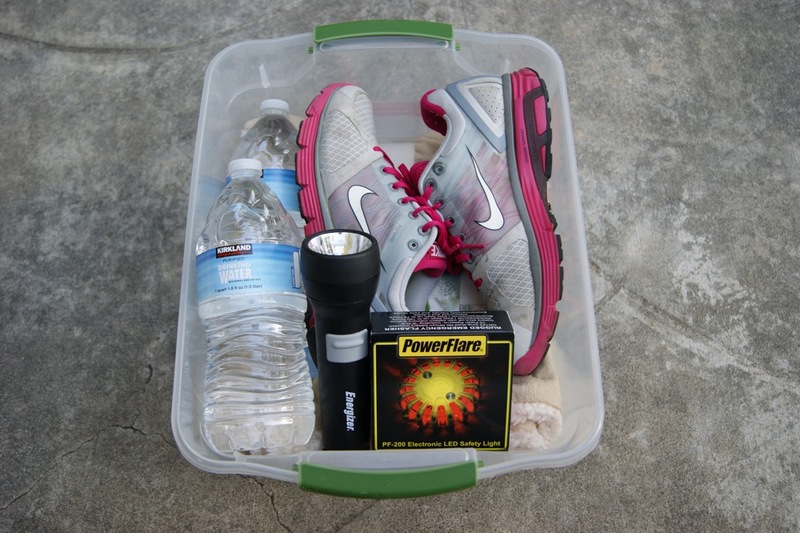 Extra (comfortable) shoes, water, flashlight, flares, and a blanket. 16. Don't pack in a million suitcases. Make it easy to grab what you need for the night. Unloading and reloading the car will get very tiring. 17. And if your car doesn't already have one, invest in a trunk cover. Just because you don't want to unpack doesn't mean you should leave all your stuff out in the open. 18. 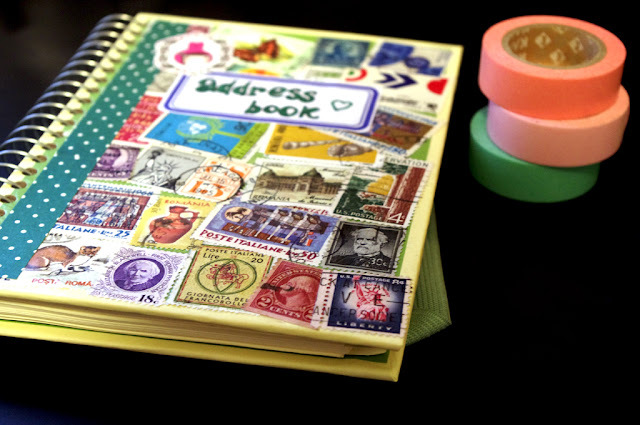 Bring an address book and stamps. That way you have no excuse for not sending postcards. 19. 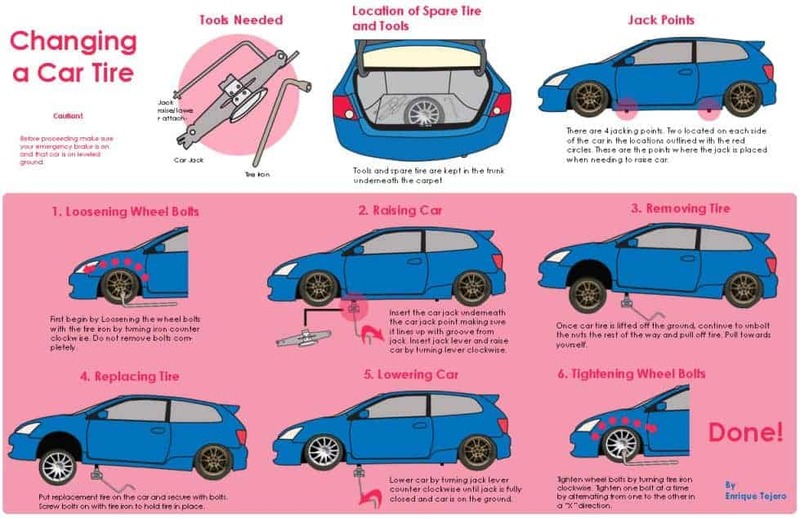 Print this out and keep it in your glove box. Or call AAA, your choice. 20. 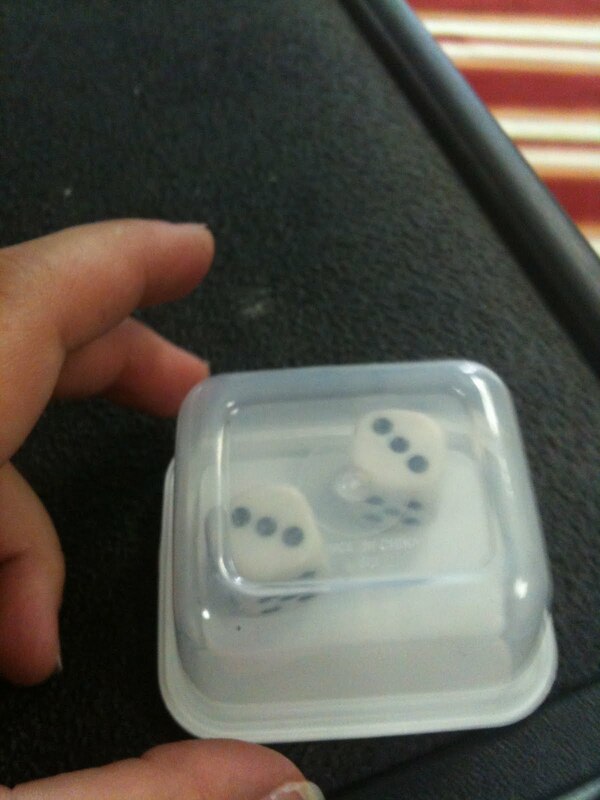 Never lose dice between the seats again. This may seem old school, but after 10 hours in a car, you will want to save your phone battery for directions and games of Candy Crush. 22. Hang a shoe organizer on the back of a seat. 23. Snacks are an important part of road tripping. Stay prepared. 24. Keep extra small bills on hand to pay tolls. Depending on how far your road trip, an E-ZPass might not work in all areas. Having lots of small bills will make it easier! 25. Find local food by bringing Roadfood, or using its website. This will save you from having to eat at any chains. Unless you are really craving a Big Mac. 26. 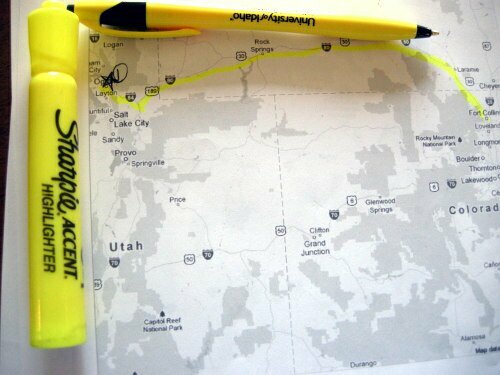 Put map inside of a plastic protector and use a dry-erase marker to map your route. 27. Turn your cup holder into a multi-level container. 28. This is for later in the road trip. But you will reach this point. 29. And bring an atlas. 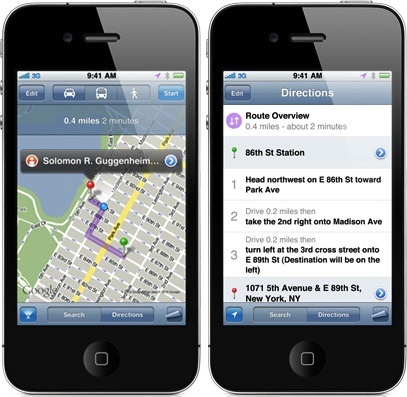 Because your phone or GPS will die or not work at least once on the trip!